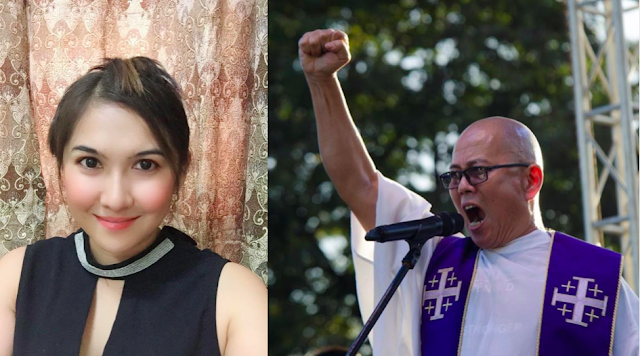 Michelle Rose Suarez, a concerned OFW Doctor, recently took to Facebook to express her thoughts on priests and nuns who join in rallies that call for answers and solutions to various national issues our country faces. Among these people, she specifically calls out Father Robert Reyes, a well-known priest activist. She says that people like these should be kicked out by the Catholic Church. She says that him, along with the nuns in St. Scholastica that accompany their students who stage rallies, should not belong in the church. “The Catholic Church should kick out Father Reyes, that nun from St. Scholastica using kids to rally in the streets, and other priests and nuns who is more concerned in being activists than teaching the word of God! 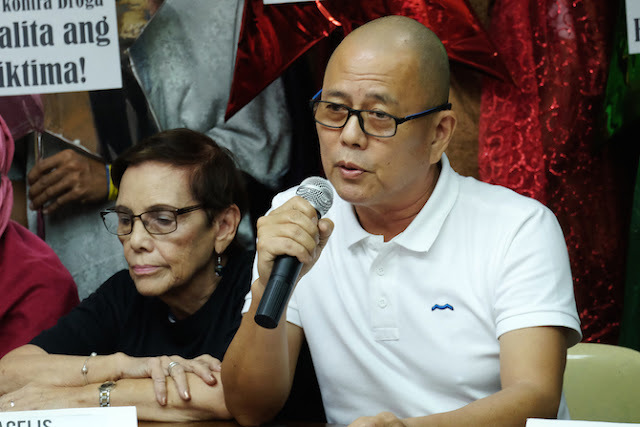 Kung gusto nila maging activits or politician, umalis sila sa simbahang catolico!“ Suarez said. Suarez says that people of the church should not be influencing people to go into the street. They should rather stick to teaching the word of God. She adds that if they want to be activists, then they should leave the Catholic Church. Another thing that Suarez said is that according to her, the Church must remain neutral. She says that when it comes to national political issues, the church must not take sides. She even says that it is hypocritical for the church to judge and condemn various acts of the Duterte when the church has done some sinful things as well. Suarez encourages church leaders to just urge the public in praying for the country and its leaders. Concluding her posts, she shares empathy and sadness, saying that the general public seemed to not trust the church anymore because of some of the actions of its members. "I still stand firm in my belief in God and the Christian teachings but have lost respect for some members of the congregation because of the actions of certain priests and nuns," Suarez said. 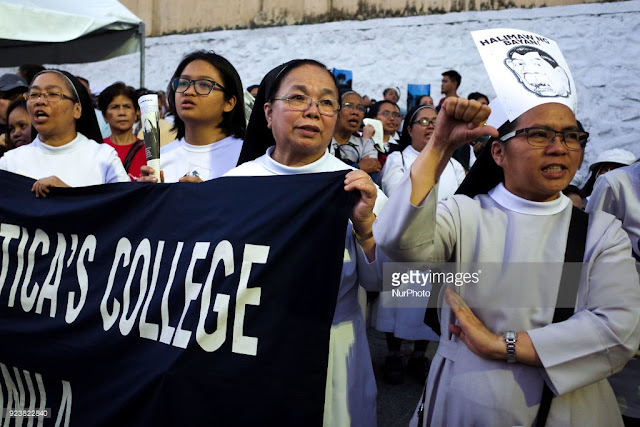 "The Catholic Church should kick out Father Reyes, that nun from St. Scholastica using kids to rally in the streets, and other priests and nuns who is more concerned in being activists than teaching the word of God! Kung gusto nila maging activits or politician, umalis sila sa simbahang catolico! The Church should be neutral and should never take sides in political issues, should never judge and throw the first stone, for they themselves have flaws and is not perfect. Instead of criticizing the government, what they can do is urge the public to pray for the leaders of this country, pray for unity and focus on the word of God without criticizing or judging. Remember Padre Damaso and Rizal? It seems history is repeating itself. I still stand firm in my belief in God and the Christian teachings but have lost respect for some members of the congregation because of the actions of certain priests and nuns."